Catch your kid being good in order to improve the relationship. When I was an intern my supervisor used to tell me one of her favorite pieces of advice to give parents was to, “Catch your kid being good.” She’d say that so often by the time a parent brings their child into counseling, they are at their wits end with their child. She’d say exasperated parents make impatient parents; impatient parents make parents who are overly focused on the negative; parents who are overly focused on the negative make critical parents; critical parents make irritable children. I see this in my counseling office on a pretty regular basis. It’s not that the parents who are coming in are bad parents, or are unloving to their teenagers. 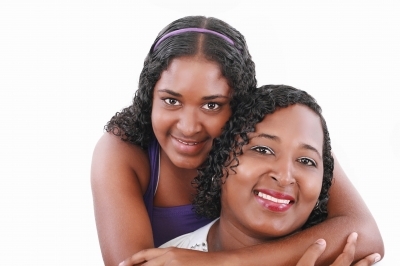 Most of the time they love their teens tremendously, but are just overwhelmed with how to help them stay on track. Some resort to the tactic of trying to correct things as they see them. This is fine when the relationship is in a good place. However, if the relationship is strained then it doesn’t tend to work very well. What does that mean? We are quick to comment on, and punish our kids for doing bad. If they score a low grade on a test, tell a lie, sneak, sass, etc., we feel we must do something about it. When our kids are respectful, do their chores on time, are honest, etc. we think that should be status quo. We tend to say nothing much about it because we think that’s how it should be anyway. We save the praise for A’s on tests, going above and beyond around the house, or when our kids randomly show us extra appreciation. For this week, try making affirming comments when you see your child just doing the status quo. When you notice your teenager doing anything small that is the “right” thing to do, praise them. Maybe you came home from work and noticed they had started their homework on their own. Instead of saying, “See, isn’t it easier when you start your homework early?” which comes across as a little condescending, say, “That’s awesome that you take initiative to get your work done!” If your teenager clears their dish after dinner, thank them. Try to resist the urge to then remind them they also need to wipe down the table. You have the power to change the interaction with your teenager, and the power to influence their attitude. All it takes is a few words of praise when they are doing the small things right. You will be kinder to them because chances are, there are parts of them that are a really good kid. There’s also a good chance they will enjoy the praise, and want to keep doing that thing you commented on in order to get more praise from you.